Awhile ago I have made this incredible moist polenta cake with homemade spicy sweet syrup. Not only it looks great on pictures making it totally IG-worthy it is also gluten- and sugar free too! Woo! 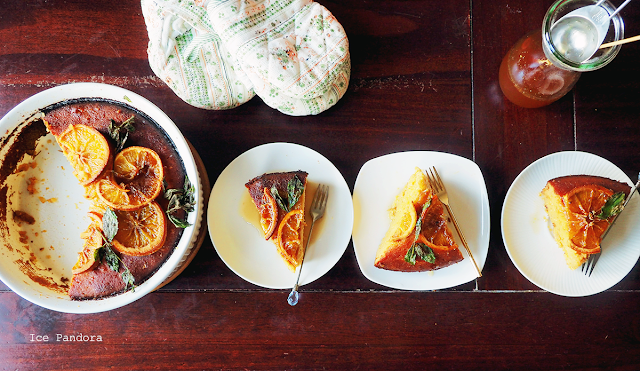 This proofs again that healthy baking and eating can be super colorful and fragrant as well. And speaking of colorful, this cake was so beautiful contrasted in colors that I barely need to adjust and edit in Photoshop. 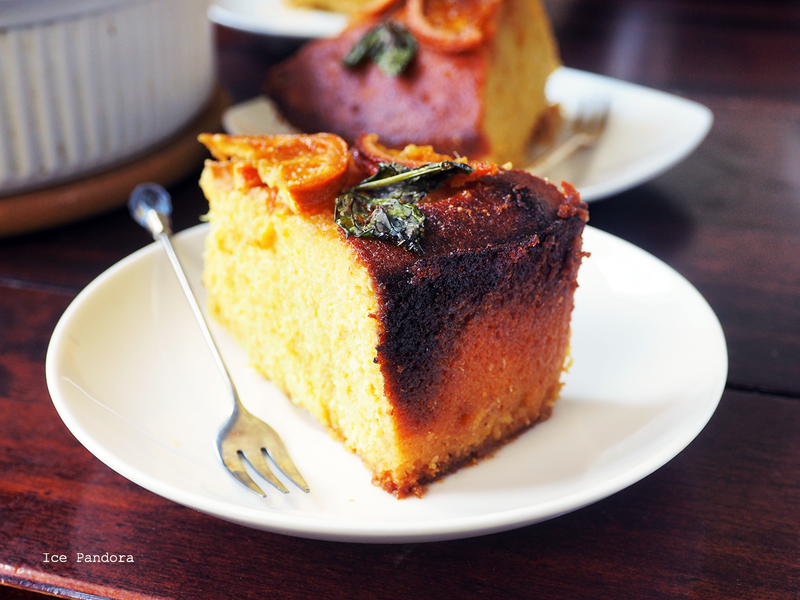 Thanks to the spicy fragrant this cake is absolutely a great treat for Fall and the upcoming colder days. 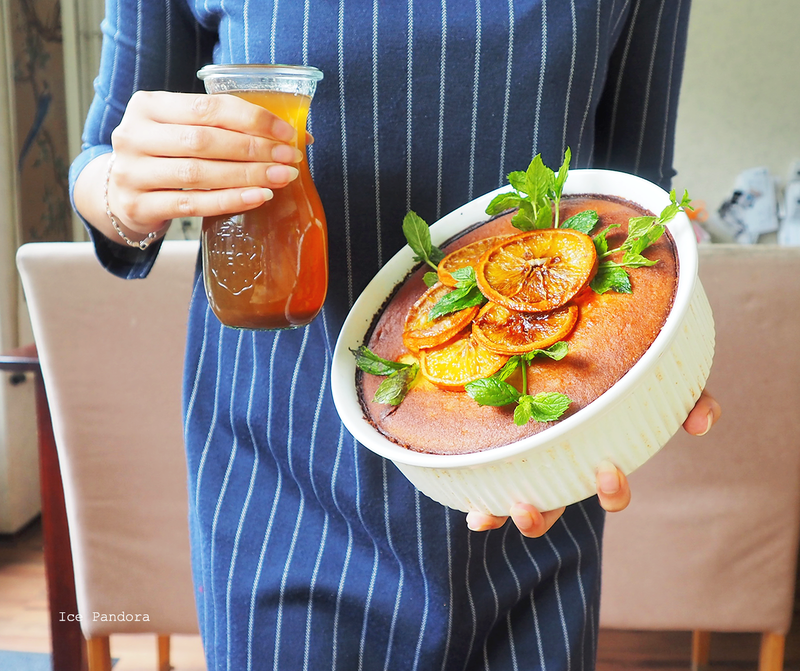 Een tijd geleden heb ik deze heerlijke smeuïge sinaasappel polenta cake gemaakt met huisgemaakte zoete kruidensiroop. Niet alleen ziet het er tof uit op foto's en natuurlijk IG-waardig, het is ook nog eens een gluten- en suikervrije cake! Triomf! Dit bewijst weer dat gezond bakken en eten niet saai is maar juist heel kl(g)eurrijk kan zijn. Hij was zo kleurrijk dat ik de foto's weinig hoef te bewerken in Photoshop. 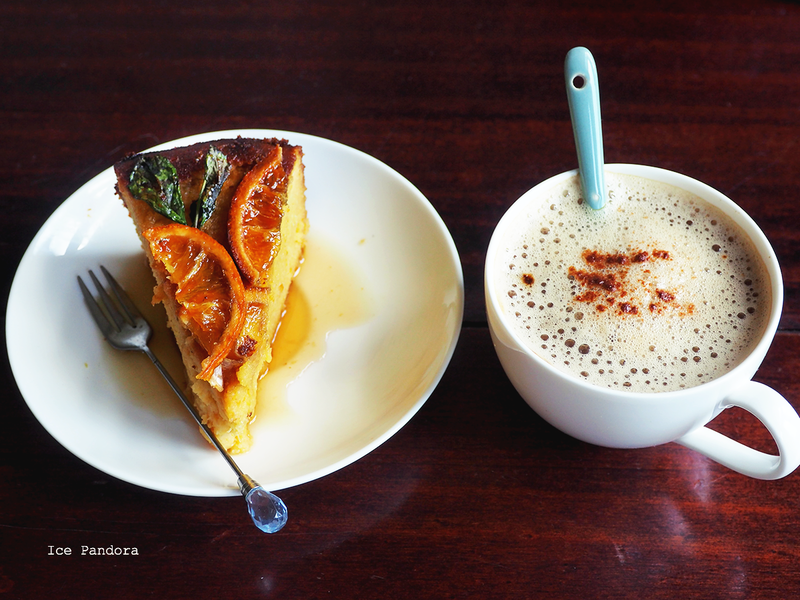 De kruidige aroma in deze cake maakt het een perfecte traktatie voor de herfst en natuurlijk voor de aankomende frisse knusse dagen. Hey! I am gluten- and sugar free! This stuff smells incredible goooood! 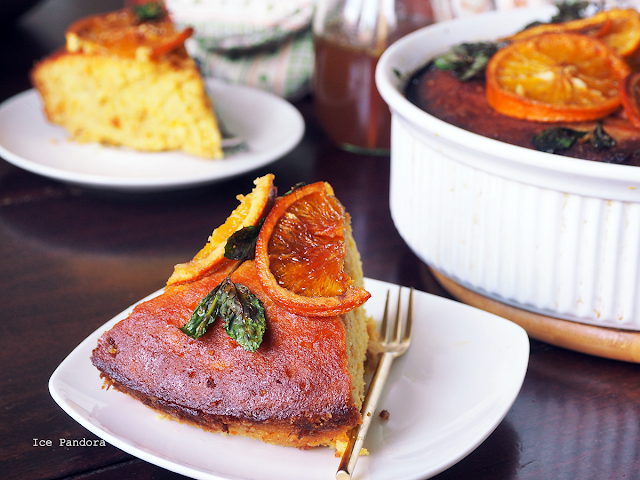 This moist spicy orange polenta cake is great on it`s naturel self but if you`re like me and you want to spice the cake even more with topping such as candied oranges (see recipe at my Facebook!) and mint please go ahead! I also have heat up the cake and put it back again the oven for a min or 5 at 100C degrees. 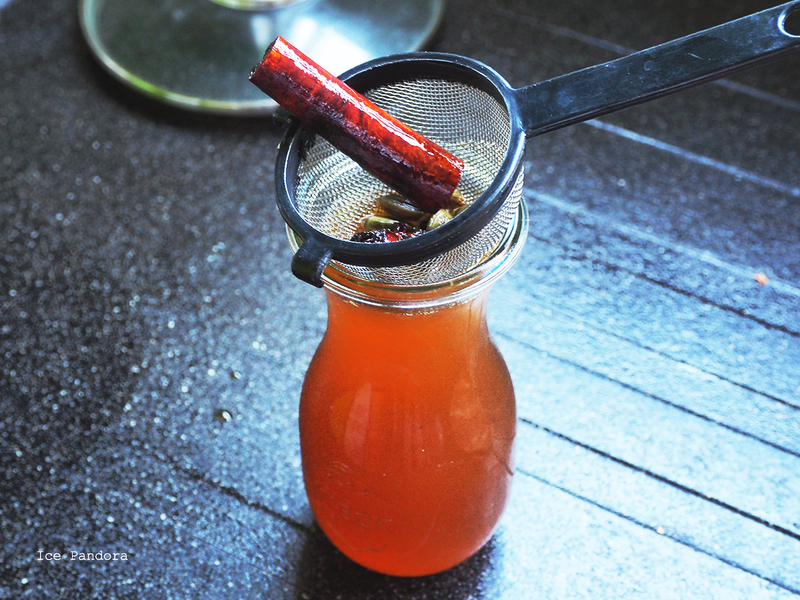 Hence the pretty scorched mint leaves you`ll see down below. 1. Add everything in a small pot and bring it to simmer and let it simmer for about 5 minute before removing from heat. Strain the syrup and set aside. 1. Preheat oven to 190ºC and grease and line a 23cm ⌀ springform/cakepan with baking paper. 2. Place the oranges in a pan with roughly about 2 cups of water and let it simmer for an hour. 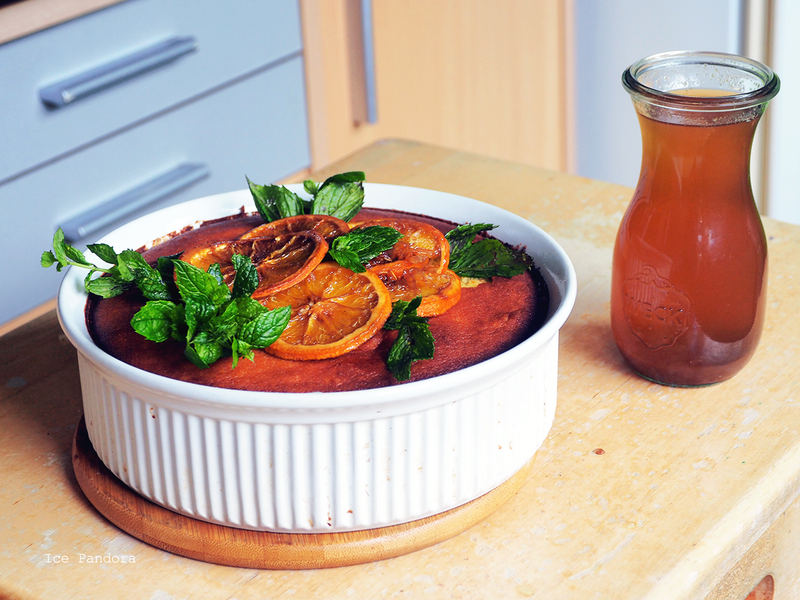 Then remove the oranges and let it cool down for about 30 min. Once cooled down place them in the blender and blitz them into pulp & puree. 3. In a large bowl beat up eggs and honey until foamy and thick. 4. 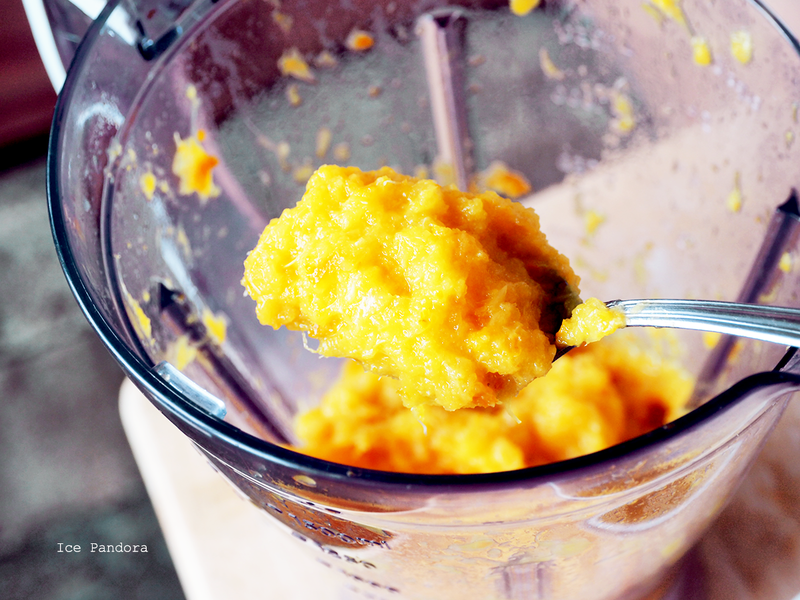 Then add in the rest of the ingredients along the orange puree and mix and combine well. 6. Grab a toothpick and start poking holes in the entire cake. 7. Pour bit by bit the spicy syrup in to the cake, allowing to absorb through the cake before adding more. 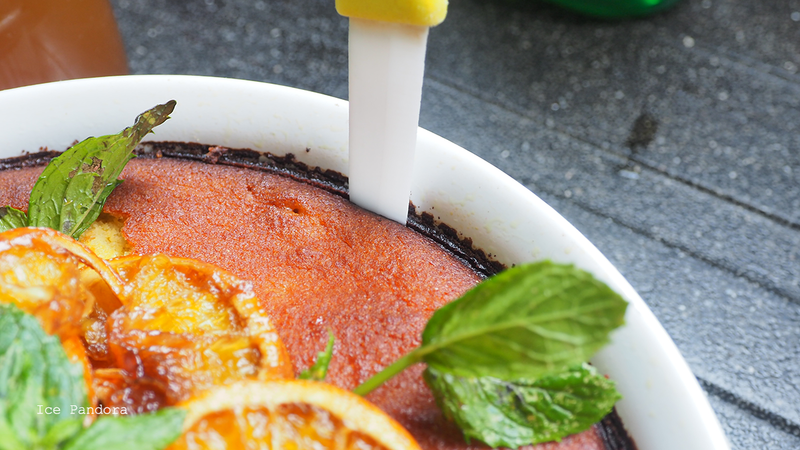 You can safe 30-50% of the syrup for the extra garnishing when you sliced the cake. 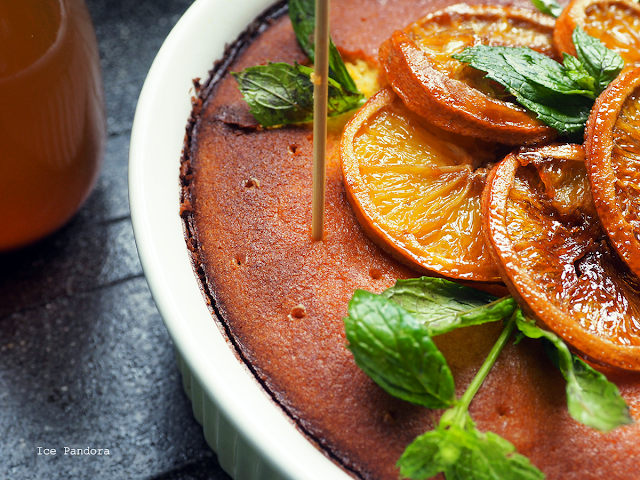 Garnish it with candied oranges and mint and enjoy! YOU CAN BLEND AN ENTIRE ORANGE?! mind blown!! I feel so sad for the burnt mint leaves, haha. I'll put it on right before serving so mine won't have the same fate! So delicious! It didn't occur to me that polenta could be used for baking! Trying this for the holidays! 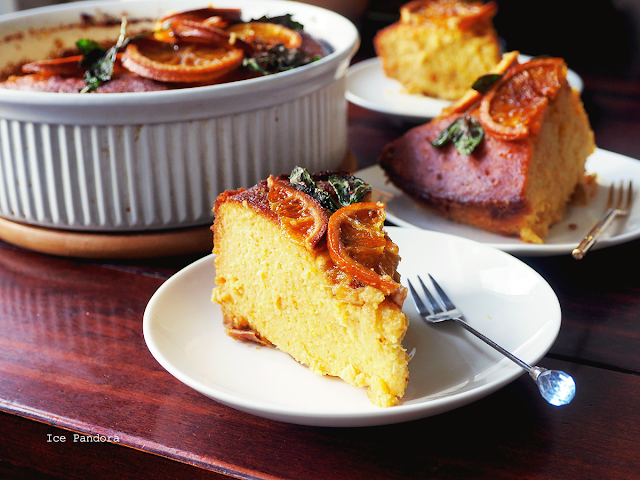 Oooo I've got a recipe I bookmarked somewhere for a polenta cake! Orange as well! This looks great, I can imagine how great it smells!